The nineteenth century saw earlier regimes of monopoly and prestige giving way to open-ended competition over natural resources that were increasingly funneled into industrial production and mass consumption. As a result, the learned inquiry in natural history also became deeply entwined with new institutions (tariff, currency exchange, branding / patent, extraterritoriality…) that sprang in the age of global business. Epitomizing this period of intense change in the relationship between business and scientific communities is the issue of language: the naming and classification of flora, fauna and mineral matter began to incorporate more previously undocumented languages such as regional dialects, pidgin and creole, and the issue of translation and systematic nomenclature assumed new practical urgency in the geopolitical administration of trade. 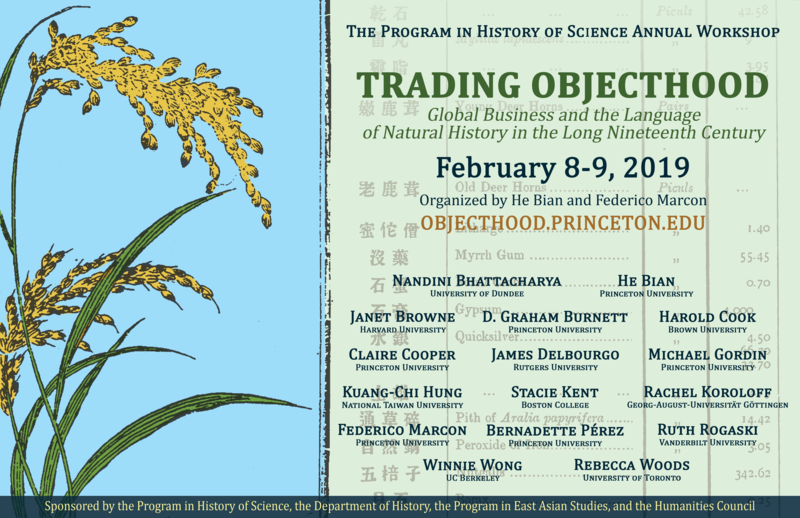 In this workshop, we bring together expertise in different regions to highlight a common theme in the history of science: namely, how the orderly construct of nomenclature and classification in early modern cultures accommodated, and even fostered, the exploitative and expansive ethics of industrial capitalism. Please visit the workshop website for more information and to register. Registration is required.